Good news for those of us who use and store money in the Google Wallet mobile payment service: Our funds are about to get a whole lot more secure. Yahoo Finance is reporting that Google Wallet balances will now be held in FDIC-insured banks, extending important federal protections against bank failure to your digital cash. FDIC, or the Federal Deposit Insurance Corporation, is an independent agency of the U.S. government created during the Great Depression to protect consumers against banking failures. Deposits made in FDIC-insured banks are backed by the full faith and credit of the United States government. If a bank, for some reason, fails or collapses – as happened with Washington Mutual during the 2008 financial crisis – the money held in your account held by the institution is protected, up to $250,000. Until now, balances held in Google Wallet accounts did not enjoy this protection. Apple iPhone owners don’t need to worry about FDIC insurance – Apple Pay does not store money in a separate account in the same way Google Wallet does. Instead, it links to an existing debit card (which is likely linked to an FDIC-insured bank account itself) or a credit card with its own fraud protections. Balances held in a PayPal account, meanwhile, are not FDIC insured. The company is quick to note that it provides its customers “zero liability account protections if there are unauthorized payments and buyer protections if the item they purchase is not as described or not as promised.” But should PayPal fail and file for bankruptcy, you would have to rely on a bankruptcy court to try and get your money back. It could take months to see that money – if you get it back at all. Google Wallet was launched in 2011 as a way to make tap-to-pay transactions using your Android phone. 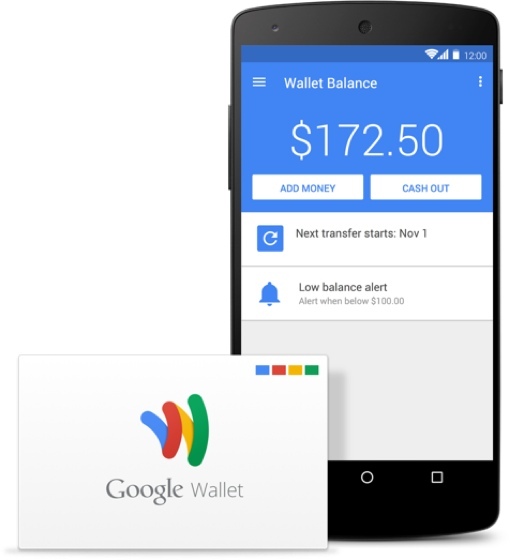 (Google Wallet account holders can also make payments using the Google Wallet debit card.) Using the service requires you to link it to an existing credit or debit card, which is then used to fund your Google Wallet account. You can set Google Wallet to make regular withdrawals from your bank account, or to automatically fund itself when its balance falls below a certain threshold. You can learn more about the FDIC by visiting its Wikipedia entry or the corporation’s website at fdic.gov. To learn more about Google Wallet and to sign up for an account, visit wallet.google.com. You all do realize FDIC “Insured” means nothing since the FDIC is and has not been properly funded? They only hold less than 3% of depositors totals. So, if there is another problem in the banking system you better be first on line at your bank. Saying FDIC is worthless because they only hold a small percentage of the total deposits in banks as collateral is like saying your home owner’s insurance is worthless because your insurance company only holds a small percentage of the total home value they insure as collateral. One could argue that the FDIC faces the unique risk of a complete collapse of the US banking system, but nothing close to that scale has happened since the great depression. And banking laws have changed significantly since that time, specifically to prevent another mass banking collapse (including the creation of the FDIC). And, unlike regular insurance companies, the US government has the ability to pump additional capital into the FDIC through borrowing, taxation and even printing money to make up for any shortfalls. So the FDIC is meeting its critical, primary mission of establishing trust in the US banking system. And when things have gone bad, it has been there for depositors.